I recently wrote an article for PoliceOnce.com titled "Firearms Qualifications are NOT Important!" While there were a few comments from people who disagreed, the vast majority of readers agreed with the premise of the article, and some even emailed me directly for further conversation. 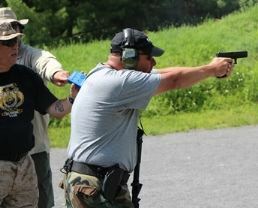 As firearms instructor, it's easy to put too much emphasis on qualifications. It's almost like a validation of our training...if people pass the qualification, then our training was good. In my mind, a validation of our training is when someone we trained won a deadly force confrontation...not passed a minimum standards test. Don't put too much emphasis on improving a firearms qualification...the only people who care about qualifications are lawyers and administrators. 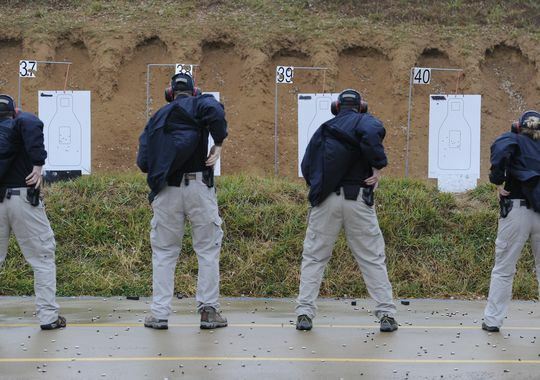 Instead, put that emphasis and energy into improving your live-fire range training programs! A shot timer is one of the most valuable training tools a firearms instructor can possess...if they know how to use it accordingly. Most instructors will use a shot time for running qualifications or for running a competition stage they set up as part of their range training. And, those are legitimate uses for a shot timer. 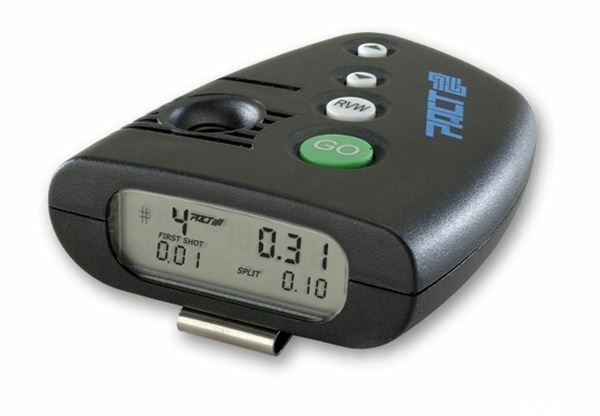 But, a shot timer can also be used as a visual indication of total performance from a shooter, it can motivate a shooter to perform better, and it can be used to validate or dispel some common beliefs in firearms training. Raw time – the final time captured on the last shot taken. Total time – Raw time plus any penalties (in seconds) that are associated with misses on the target. For example, if a shooter completes a drill and has a raw time of 10 seconds and has 3 misses outside of the allowable scoring zone, and each miss equals 1 second, then the total time is 13 seconds. Shot time – the time captured on a particular shot. For example, if three shots were taken, the shot timer can show the time recorded at each shot. 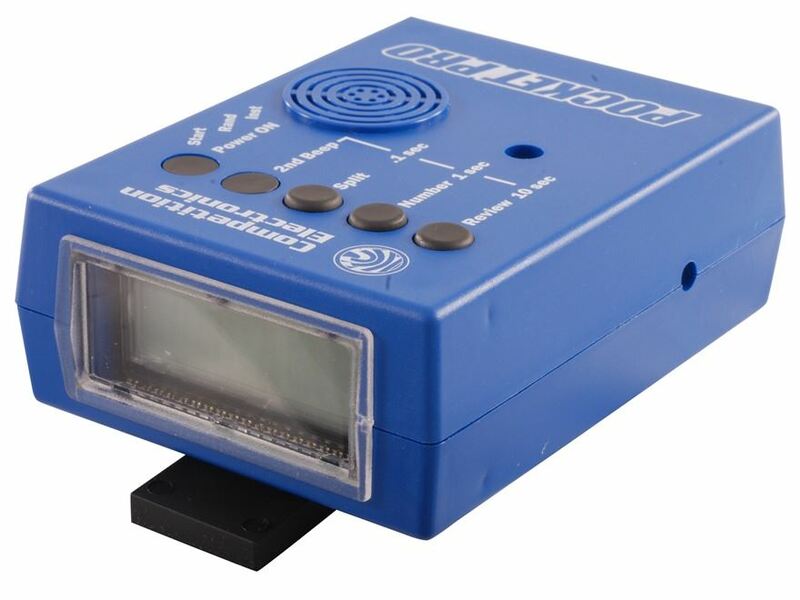 Par time – The time in which an ending buzzer will go off to indicate the allotted time is over. For example, a 10 second par time means after the first buzzer goes off, a second buzzer will go off 10 seconds later. Split time – The time frame between shots. For example, if the first shot was taken at 3 seconds and the second shot was taken at 8 seconds, then the split time between shot #1 and shot #2 is 5 seconds. I like to use a shot timer to show a shooter their total performance after a drill. Total performance is a combination of balancing speed, efficiency, and marksmanship. Total time represents total performance. Shooters should be trying to cut every fraction of a second off their total time…and instructors should be helping them to achieve that. In solo drills, where the emphasis is on practical shooting (fast application of marksmanship skills on a practical sized scoring zone that represents an effective hit on a target), a shot timer should be used to measure total performance. The shooter performs the drill to the best of their ability…after the last shot the instructor will have a raw time on the shot timer…then the instructor and shooter move forward to the paper target to check for marksmanship. 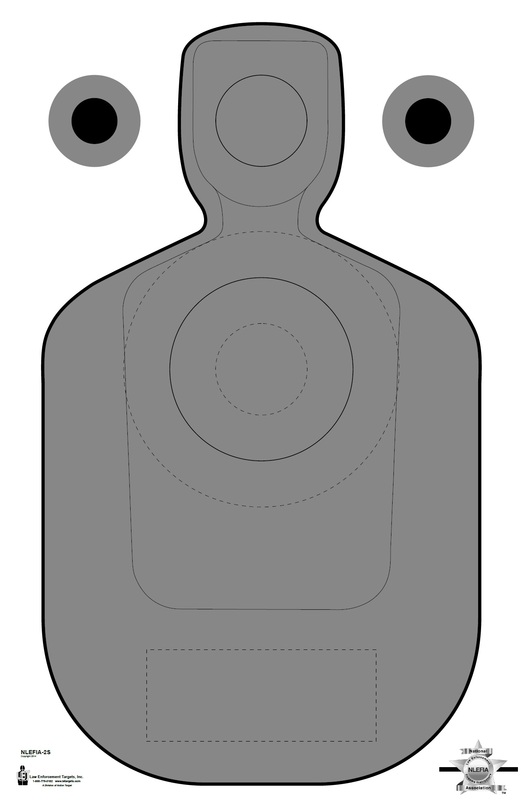 For every hit outside of allowable scoring zone (example – the A zone of an IPSC target), the instructor adds an established penalty for misses, such as 1 second for C zone hits and 3 seconds for D zone hits, to the raw time to get the total time. From there, the instructor provides coaching (because they should have been watching the shooter, not the paper target) on what the shooter can do to be more efficient with their movements and to improve accuracy. Then the shooter loads up to run the drill again. What the instructor is looking for on their next run is a reduction in total time or the same total time but with less misses on target (shot a little slower, but was more accurate)…both of those scenarios are a success for the shooter. And, with a shot time the shooter gets a visual indication they got better…which will lead to motivation to run the drill again for most shooters…because they want to beat their time. The shot timer can also be used to indicate efficiency of movement or weapon manipulation by looking at split times. If shooter conducts a 2 shot-reload-2 shot drill, then the instructor can look at the split time between shot #2 and shot #3 to see how long it took to conduct the reload…then provide coaching, run the drill again, and check the split time again to see if there was a reduction in time. Even if the total time was longer, if the split time during the reload was shorter, then they improved the efficiency of their reload…but faltered in another area that caused an increase in total time. If the instructor was watching the shooter and not the target, then the instructor should be able to tell the shooter why their total time was longer. A shot timer can do a lot more, but these are the most common ways I use them to improve shooter performance. 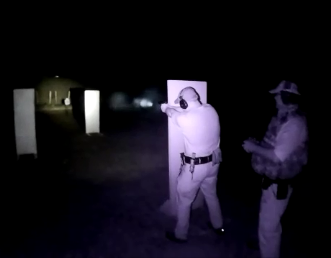 Our Advanced Firearms Instructor course covers the use of shot timers and requires their use throughout the course so instructors get a better understanding on how to use them to improve shooter performance. Finally, be careful with setting a par time on a shot timer when conducting practical shooting drills. When the instructor puts in a par time, then all shooters are expected to meet that time established by the instructor...this is know as "outcome-based training" where the shooters are more concerned about meeting the time frame than they are about improving their performance ability. Not all shooters are at the same skill level, so asking them all to meet some arbitrary time frame set by the instructor will not be beneficial to many of the shooters. 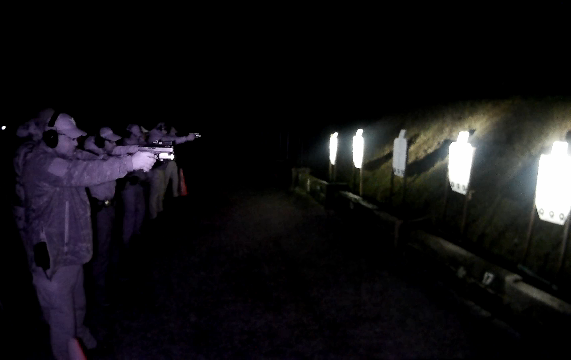 When no par time is used, then the shooters get to establish their own baseline skill level on the first run. Then from there, with proper coaching, each shooter can improve their individual performance level...this is known as "performance-based" training. Do you have a shot timer in your range bag? Not only are steel targets fun to shoot and offer immediate feedback on the application of marksmanship fundamentals, but for instructors the use of steel targets also means maximizing allotted training time...especially if the training involves rifle engagements beyond 50 yards. Rifle training between 50 and 100 yards on paper targets means there is a lot of time wasted walking up and down range to check targets for accuracy. And while that is necessary when practicing precision shooting or zeroing a rifle, that is not the best option when conducting practical gunfighting drills. Instructors should not waste valuable training funds buying steel targets that are NOT rifle rated. Even if the steel targets are not used in rifle training, they will last forever for handgun training, and eventually instructors may want to incorporate steel targets into their rifle training. 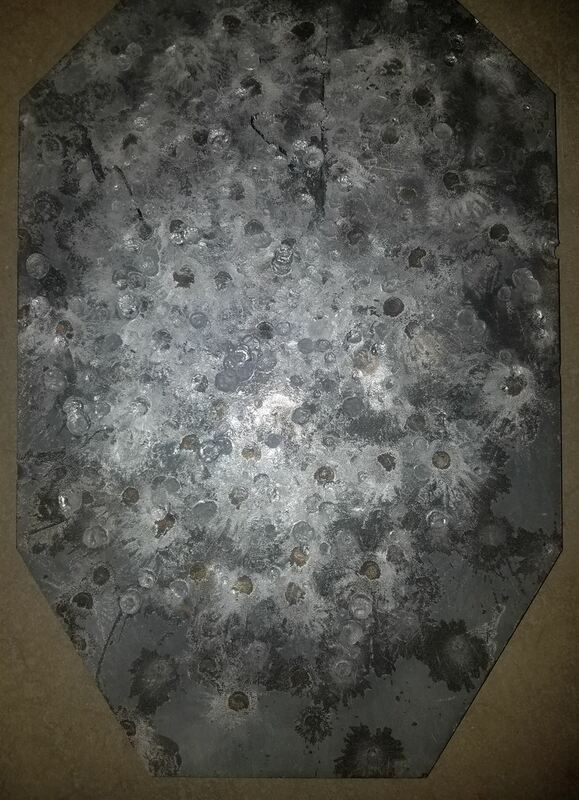 The most common rifle rated steel plate on the market is AR500, which virtual every reputable steel target company offers. AR stands for "abrasion resistant" and the number represents the Rockwell Hardness rating. Anything below AR500 is not rifle caliber rated. Most manufacturer's recommend shooting AR500 steel targets at 100 yards and greater. This is not to prevent splash back because you can shoot steel targets that are properly designed and in good condition as close as 15 yards and not getting any splash back. The 100 yards minimum recommendation is to help extend the life of the steel target. That is because AR500 steel is only "through hardened" which means it is hard enough to prevent the rounds from penetrating through the steel. However, if the velocity of the projectile is high enough, it can still pit the surface of the steel. And after the surface has pitting, the chances of getting splash back is increased. Having a 100 yards minimum recommendation helps prevent surface pitting. The problem with that is the vast majority of rifle shootings in law enforcement occur inside of 100 yards...and that is where instructors want to train their rifle operators. So, either AR500 steel targets are rarely used because instructors don't want to damage the targets, or they are used regularly to support their rifle training inside of 100 yards and they have to replace the steel targets on a regular basis. Instructors should invest a little more money and purchase AR550 steel targets. AR550 steel is "surface hardened" which means the surface is much harder to pit at closer distances. In fact, AR550 steel targets, that are designed with a downward angle and pivot on impact to reduce stress, can be shot at 50 yards regularly with rifle rounds (except steel penetrator rounds) without damage to the surface...so now practical rifle drills can be conducted between 50 and 100 yards regularly, and valuable training time is not wasted walking down range to check paper targets. In addition, most targets come in 3/8” thickness. I would recommend getting 1/2" thickness for greater durability and to help minimize warping. 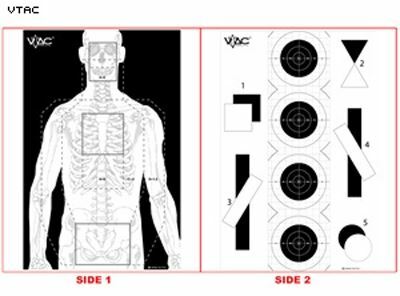 Steel targets should not be any larger than 12"x18"...or equivalent to an IPSC C Zone...as that represents an effective hit to a human torso. 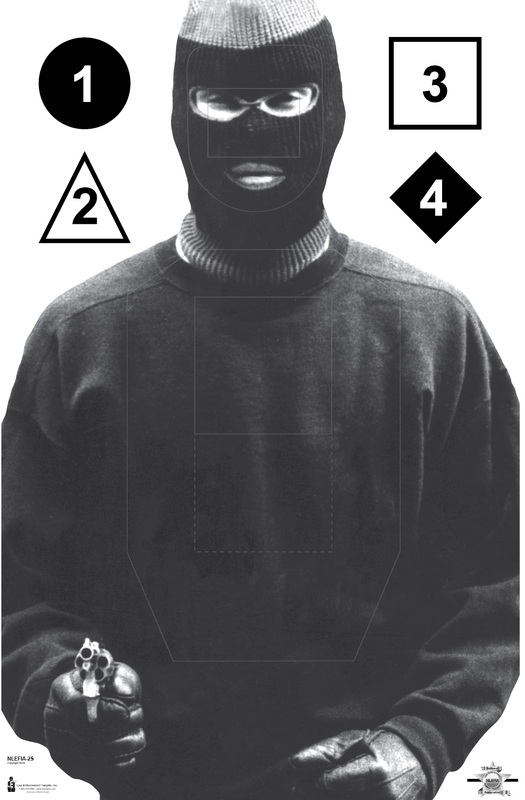 Any targets larger than that can give a false representation of a shooter's capability. Obviously, smaller targets present a greater marksmanship challenge for shooters...and there is nothing wrong with that! Our Platinum sponsor, Action Target, put together a really good steel target resource guide. To download the guide, click HERE. Over the weekend we updated our website to a newer template, as the old template was no longer being supported by the host. With this update, we decided to incorporate a blog into the website. This is just another form of communication we can use to reach out to our members and website visitors.